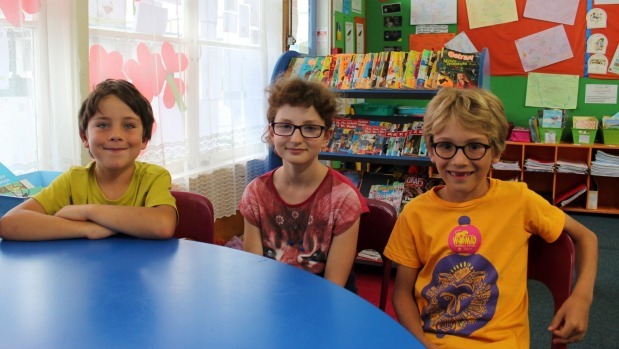 Pupils at a bilingual French and English unit at an Auckland primary school can do more than just count to five in French. The pupils have a fluent command of the language, thanks to the unit’s success over the past five years. The unit, l’Étoile du Nord, which means Star of the North, runs at Birkdale North School on the North Shore. It had three classrooms for its 50 pupils, who all had at least one parent who spoke French. The pupils were taught the New Zealand Curriculum in English two days a week and in French three days a week. Principal Linda Low said l’Étoile du Nord was a “fantastic” five-year journey. “It’s created a lot of tolerance, a lot of understanding of difference,” Low said. Low said the French unit paved the way for a new bilingual te reo Maori and English class at the school. “Seeing how well the French unit was established I thought, ‘Oh my gosh, I can’t wait anymore, I’ve got to get an indigenous language unit set up’,” she said. The whanau class, Nga Muka, was set up last year for pupils who identify as being Maori, although most were not fluent in te reo, Low admitted. “It’s a bilingual unit,” she said. In l’Étoile du Nord, pupils happily chat to each other in French. Nine-year-old Dahlia de Chantal said she really liked her class because she got to learn all subjects in both French and English. Her favourite subject was art and she hoped to one day visit Canada, where her mother was from. Xavier Courteau-Laing, 8, said he liked being able to speak both French and English each week and he also enjoyed the small class size. His mother, Mona-Lynn Courteau, who was French-Canadian, said it was important to her that her son had a good understanding of French. Courteau said l’Étoile du Nord was first set up as the only other primary school in the North Island to offer a bilingual French and English education, Richmond Road School in central Auckland, was filling up. Pupils attend the unit from all over the North Shore, often carpooling, she said. The school hoped the numbers of pupils would steadily grow, and was taking enrolments.